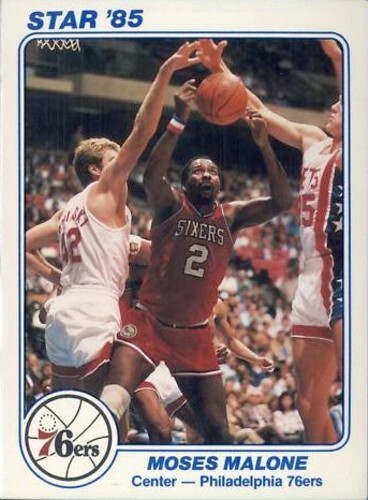 Moses Malone 1985 Star Philadelphia 76ers 5x7 Supers jumbo 5x7 basketball card. About NrMt-Mt condition. ONLY ONE AVAILABLE FOR SALE.